Gallery Show Kitchen - Two years of an intense creative process has resulted in the spectacular gallery "Show Kitchen", a space envisioned for magazine photography shoots, fund-raising events, guest chef events; and a "showcase" melding food & dinnerware. Featuring a spacious Viking equipped kitchen, a chateau inspired dining room with a 13' Louis IV dining room table, gold leafed floors, a guest bedroom, and a luxurious bath with Lesley's hand painted tiles, it has the unmistakable imprint of her design dynamic. Steps of inlaid river rock lead to a conservatory with a spectacular view of West Rock Mountain, and French doors open onto the 4,000 square foot rooftop terrace for which she is planning lush zones of flowers and plants in an elegant Manhattan style. CLICK HERE to view Showroom and Kitchen. Neiman Marcus - Lesley Roy Designs is hosting eight of Neiman Marcus's top InCircle customers for a weekend gourmet extravaganza and studio tour, and is honored to be chosen as their featured designer. As a celebration of Lesley's newly completed "Galley Show Kitchen", this 2003 event is certain to be memorable. Good friend Andre Rochat will be creating his culinary magic, as the world-renowned guest chef makes a special appearance for this event. 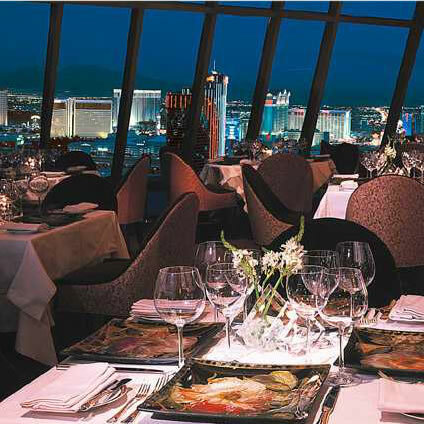 Alize - Andre Rochat's third restaurant opened November 2001 at the top of the new Palms Hotel & Casino in Las Vegas. 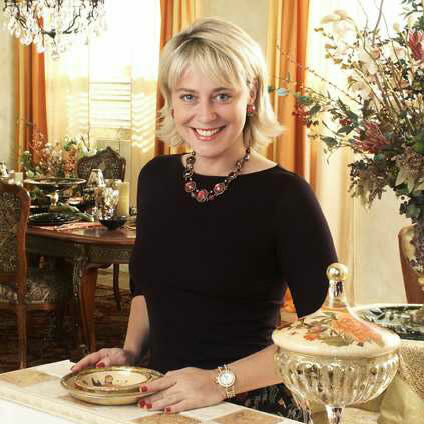 Lesley Roy designed the dinnerware and menus for this world-class French restaurant in the black Lepidoptera pattern. Lesley visited good friends Andre and Mary Jane for their grand opening, and exclaims, "The food is extraordinary!" "Andre's in the Monte Carlo, and his historic downtown restaurant of the same name, are also both incredible." "When in Vegas a culinary must-do…Bon Appetite!" Vatican - Pope John Paul II will be presented a special platter from the United States, to be displayed in the permanent collection of the Vatican. 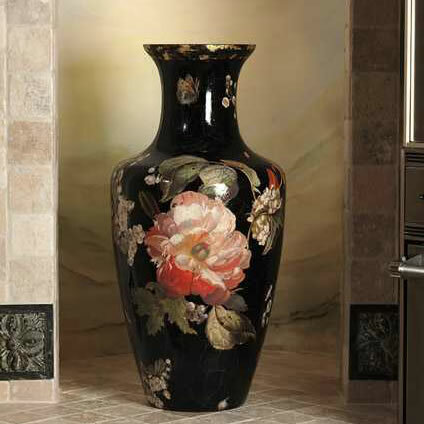 The 20" x 12" reverse glass scene features the, "Minstrel Angels" hand illuminated in 24Kt. Gold. Vladamir Putin - Another special platter, this one commissioned for Vladamir Putin, depicts an angel playing a lute, hand illuminated in 24Kt.